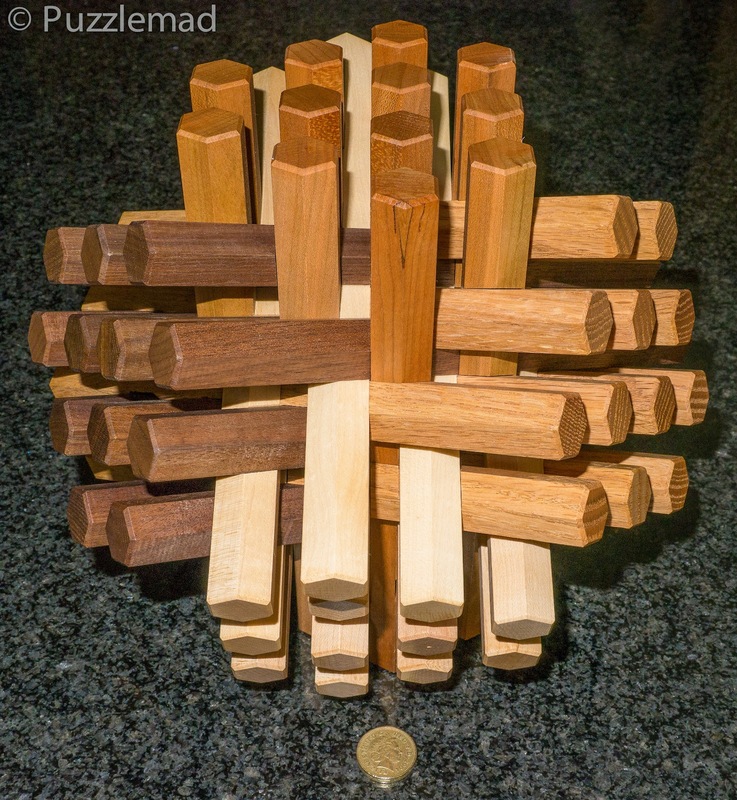 PuzzleMad: IPP34 - a meeting of friends OR "it's HOW big?" I'm back from IPP34 and just about ready to give my little account of what happened. Although my mind is a huge whirl of occurrences and people and so this is a very quick and probably totally inaccurate account - do forgive any errors! The photos have mostly been scavenged from Facebook because I knew I would not have time to take lots of photos myself and thus didn't take my camera! 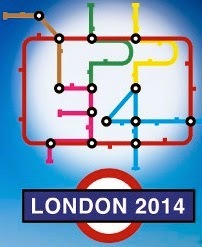 This year the International Puzzle Party was held at the Park Inn Hotel near Heathrow in London. Registration was on Thursday 7th August and after a rather long journey from Sheffield (I loathe the M1 motorway) we (Yes! The elusive, yet not imaginary Mrs S came too!) parked the car and joined the queue to check in to the hotel and then register for the IPP itself. Immediately whilst standing in the queue we were greeted by my very good friend Steve Nichols who exclaimed that he was surprised to see Mrs S as he really thought she was a figment of my imagination! Believe me, my imagination is not that good. In quick succession we met several others from the MPP and introductions were made with more disbelief! Whilst Mrs S was unpacking, I headed back down to the lobby/bar to meet the boys and anyone else who turned up. We even did a little puzzling amongst drinking coffee and chatting. Gradually over the next couple of hours more people turned up who I had either corresponded with or knew from Facebook LINK. These first people included Goetz Schwandtner, Scott Elliot, Otis Cheng, Jerry Loo, John Haché and more. Believe it or not we didn't only talk puzzles - my abiding memory of IPP was really how nice everyone was and how interesting they were - part way through the afternoon I ended up chatting with Scott about different nation's TV formats and ultraHD TV! 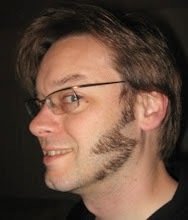 He has an amazing knowledge of many subjects - well worth a chat! He left me with a nice little printed plastic cube puzzle similar to the three card burr which I solved in my room before dinner. Also during that initial afternoon I gave Goetz a puzzling gift with a letter to mark the occasion and the look on his face was priceless - a mixture of confusion and horror! I was also confused as to why I got such a response until the following day. The Friday was the day of the puzzle exchange - it's an overwhelming experience where the participants give away copies of their own puzzle to everyone else participating and in return receive a copy of the others' puzzles. 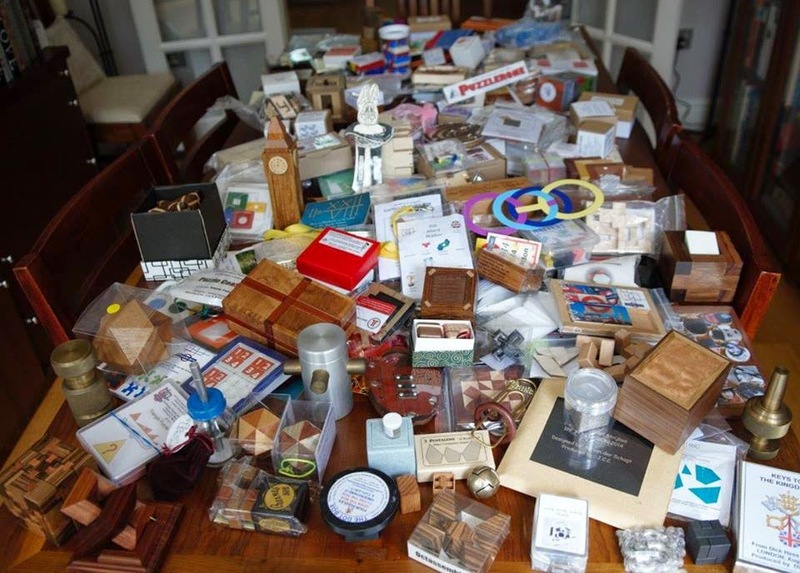 This year there were 102 people participating so everyone received 101 puzzles!!! You are ONLY allowed in the room if you are exchanging or if you are assisting the exchanger. Goetz had asked me to assist him - so my job was to keep track of whom we had met and to keep hold of his hoard, stash them away and get more out for him to give away. Goetz had taken a puzzle that was patented in 1913 and remade it in 2013 - this incredible Quinary puzzle was called the Crown & Cross and it require 1250 moves to solve and separate the constitute the constituent parts. Goetz' version was larger and smoother than the original (very very rare version). As you can see in the above photo, my gift to Goetz was a Septenary version of his puzzle! This had been designed by Michel van Ippenburg in secret and I bought 2 copies. Only when I saw Goetz' exchange puzzle did I properly understand the reason for his look! My gift requires 4802 moves to solve! At the reception dinner, I received a very unexpected gift of a bottle of wine locked into a disentanglement puzzle from Brett Kuehner - one of the co-hosts of next years IPP. I'm always astonished that any of you read my drivel but I was even more amazed when Brett gave me such a wonderful gift purely for my efforts for the puzzle world with the blog and maybe also for helping people out as the "Trouble shooter" for Wil Strijbos. Thank you Brett, that really made my day - I was totally flabbergasted and to my shame, I have still not managed to open it! After dinner, Mrs S chatted for a while and we went to view the puzzles in the design competition room. I started to play and miserably failed to solve several of them. I always claim that I'm a poor solver and not terribly bright but solving puzzles in public can be very intimidating and especially tough when surrounded by the best puzzlers in the world and being challenged by the year's toughest puzzles! It did give me more ideas for puzzles that may become available in the future that I might just have to buy! I discovered that puzzling late into the night is not conducive to going to sleep and I lay awake for several hours before finally dropping off! The exchange took us 6 hours and at the end I had a list of puzzles that I might want to get a copy of - unfortunately that list was far bigger than my ability to pay but I did manage to get hold of a few that I had been particularly keen to play with. After that exhausting feat, it was time to go and watch some lectures on various puzzling topics including 3D printing, Peg solitaire and disentanglements. I may have to admit that I might have missed one or two of the lectures because of the overwhelming urge to have a quick snooze! Having had so little sleep the previous night I had to catch up. The evening of the second day we had a great dinner and I discovered that I had committed a heinous crime! I had failed to notice and reply to an email from Laurie Brokenshire (the head organiser) about dietary requirements. Mrs S doesn't eat red meat and I had not requested an alternative. Luckily Laurie and the chef managed to win through for me and a vegetarian option was provided and my life was spared! At the meal, I played with Rox's Berrocal jewellery and maybe convinced Mrs S that a Berrocal might be a required addition to my collection! But with those prices it won't be soon! At that dinner I received more gifts! Yes! The kindness of puzzlers overwhelms me! It is a tradition that a "greenhorn" to the IPP is given a puzzling gift by someone they know who has been before and I received gifts from Nick Baxter (the IPP head honcho) and Neil - aka The Juggler. Sadly, I have gotten absolutely nowhere with the Lucky Find from Nick - it may take me weeks! Just half the room and late in the day it had emptied out a bit! Finally on the Saturday it was time for the "puzzle party" proper. 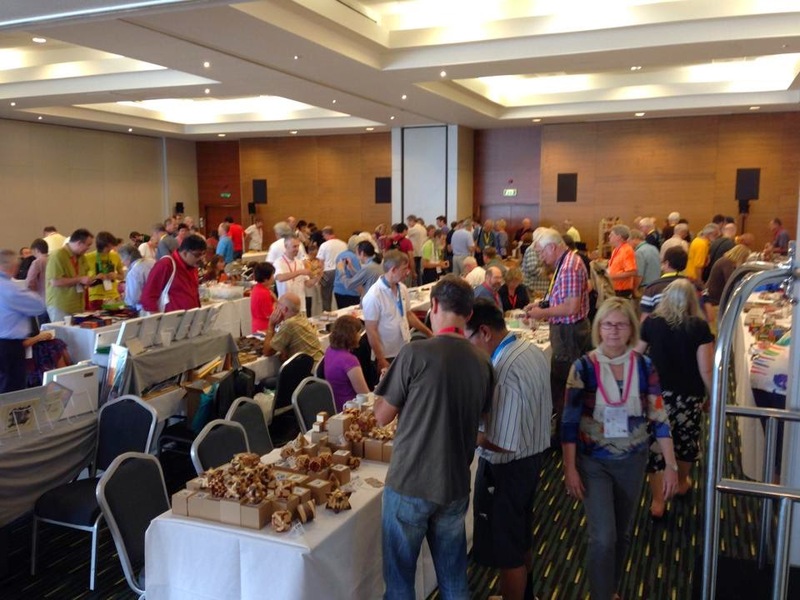 This was an entirely new experience for me - the huge room was filled with tables at which many puzzle sellers had set up shop and people were buying away everything they could afford! I could have spent every penny I owned but had to keep to a budget! Now you are wondering why I had a budget! It's not like me is it? Well the previous few weeks had been expensive with the Strijbos egg, the Popplock T9 and the day before the IPP I received my Pirates wallet treasure chest - aka Stickman number 27. I hope to review some of these in the coming weeks! But it could have been worse - Allard had participated in the exchange and then blew the budget of a small nation and has made me very jealous. Although I suspect his house is now a giant packing puzzle as I know he doesn't have the storage for that lot!!! It's enormous!!! She's going to kill me! Now we come to the reason for the second part of the title of my blog post! I had ordered the Hexagonal Porcupine from Bill Cutler and he was kind enough to bring it to IPP for me and assembled it in his room. When I saw it, I got a bit of a shock! I thought it would be just a bit bigger than the hexsticks that I had bought from him a while back. I had not really looked at the size on the webpage and when I saw that it was 9" across I had a minor panic attack! I think everyone I met at that point had a really good laugh at me! You all know that I have turned my study into a packing puzzle and have more or less run out of room. I do occasionally manage to expand out of the room into the living room with particularly beautiful puzzles but this would NEVER fit in my study and I was convinced (and said to everyone) that Mrs S was going to murder me in and no-one would even find my body! I had several very helpful people offer to take it off my hands for free and someone (thank you Simon) offered to buy it at cost if she refused to allow it in the house! Luckily she took it very calmly and it will be the first puzzle allowed on display in our dining room (on the oak sideboard). Phew!!! That evening we had the awards dinner at which we learned the outcome of the judges' and jury's decisions about the best puzzles entered into the design competition. The Fairy's Door Puzzle Box by Michail Toulouzas - probably the most beautiful box I have ever seen! Congratulations to all the competitors as well as the winners. I was very honoured to meet several of you. The following day, it was time to leave and finish the weekend with a visit to my mother who lives in London. My overwhelming memory of the event (apart from the huge number of puzzles) will always be the people I met. There are so many with whom I have corresponded and now I can finally put a face to a name. I am very proud to have been let into the illustrious group and be considered one of you. Thank you Laurie, Frank Potts, Duncan Ramsay & Jo Traynor and the rest of the team for a wonderful time. Thank you for helping in the Exchange (you did an excellent job!) and for the puzzle! Thank you for inviting me to be your exchange assistant! Despite the hard work, it was a marvellous experience! Good luck solving Cross and Crown 7 - I've just done your one and the big one really does take MUCH MUCH longer! Thanks for providing your experiences at IPP with us! I'm much surprised that Mrs. S. joined you. Good move! Even without having taken loads of photos there was plenty for me to tell everyone! Mrs S actually enjoyed herself and really liked meeting the fellow suffering wives! Interestingly, they are a very supportive group! They don't participate in the puzzling much but are happy that their spouses are only into puzzles and not other less appealing male activities. Their activities according to Gil was that they "Shop and Craft" - everyone present enjoyed themselves - even Mrs S! It's great to meet you in person Kevin. 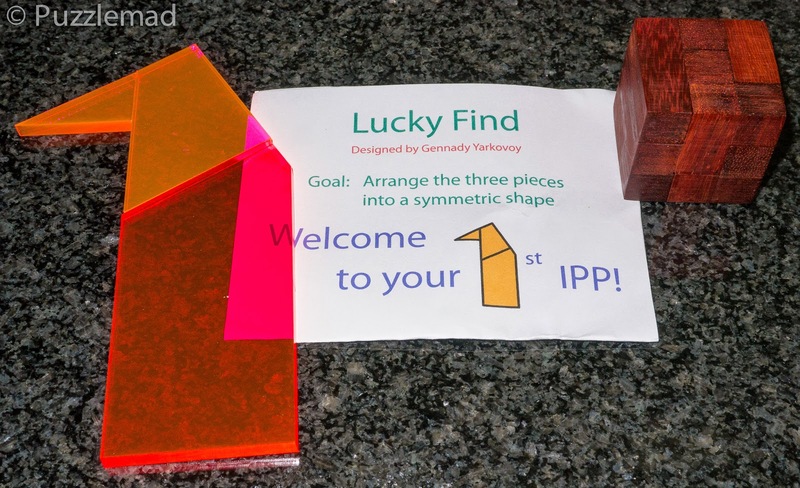 How coincidence that you and Goetz brought a very similar puzzle to IPP! I really want to see how Goetz's face look like when he receive it! Meeting you as one of the highlights of my trip Otis. I also really enjoyed your talk. The similarity was because Michel van Ipenburg knew about Goetz' puzzle and had arranged to make the bigger version and allowed me the chance to buy it for him. Hi Kevin, sorry we didn't get a chance to chat. I guess we did meet since I was in the exchange, but my memory is of 6 hours of confusion. Had I located you I would have given you a free puzzle as well!! Yes we did meet briefly at the exchange but it was every bit as confusing a day as you suggest! All I remember is a whirl of people and puzzles! Hopefully we'll get to chat face to face (instead of our usual email and blog comments) at the next IPP? "Lucky Find" is definitely not easy, it is kind of sneaky to give it out to first time attendees. It took me several weeks. I think I have solved it! As you say, very sneaky! I was going to email Nick to ask if my solution was correct! Bzzt ... try again (Kevin sent me a photo)! The solution is not sneaky or fudged, it was sneaky of the organizers to give a difficult puzzle to the newbies. I was going to use "evil" but that sounded bad. Not that you are a puzzle newbie! Just a newbie to IPP! With the way I go about solving packing puzzles and pattern making puzzles and the speed with which I solve them, I still feel like a newbie!